Only in Devils vs Heels do you get the chance to compete against another team in the same room. This is truly a one-of-a-kind escape room. You'll become a part of college basketball's greatest rivalry and race against the clock to score the winning basket before your opponent does! You'll start in one locker room while another team starts in another. Then you'll meet on our 35' basketball court to solve the same puzzles before the other team! 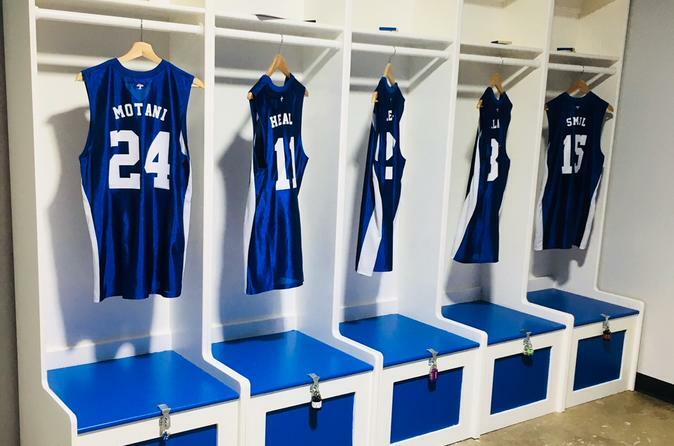 No basketball knowledge required just a desire to play an unbelievable escape room! Your experience starts as soon as you come through the front door and have chance to relax in our comfortable lobby. You'll have a chance to enjoy some of Charlotte's best ice cream from Golden Cow Creamery. A Game Master will gather your team, introduce the game, and take you to the doorstep of your experience. From there, it's up to you! Your Game Master will assist you along the way as needed but success and escape is entirely up to you! Once you escape - or don't! - your Game Master will bring you back to the lobby for a post-game debrief. And depending on the day, you may even get a discount card to one of local breweries and restaurants!